My son’s love affair with Lego started from the first time he held a Lego piece. The first pieces he got when he was two can interlock with the new pieces he received for Christmas recently. This is what’s sweet about Lego. Basically why even adults love it to this day. For us homeschoolers, I appreciate Lego particularly because it nurtures our son’s spatial reasoning, exerciseshis ability to figure out proportions and patterns. The Lego City we gifted him with last Christmas, he built all by himself. 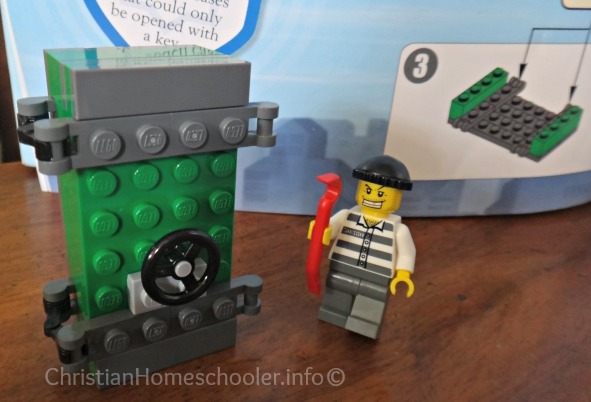 The first thing he built from the Lego City was the safe and this crook with a crow bar. He has since built a policeman, helicopter, police car and getaway car just by following the instructions. Truth is, I can leave him with his Lego set for hours on end and he will be at it enjoying every minute. Currently, our homeschooler’s least favorite subject is Math. What I really love about Lego is, as our child plays with the pieces and builds his masterpieces, he learns divisions and fraction without even knowing it! 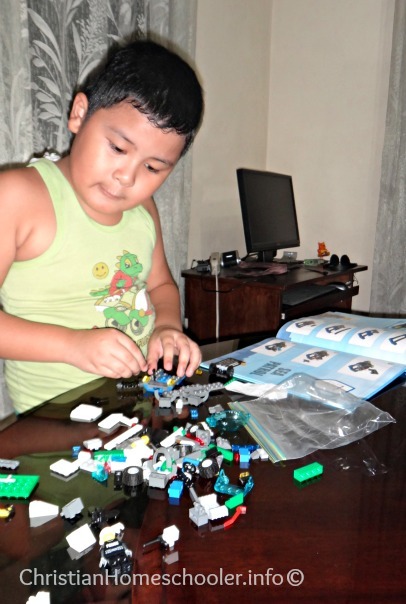 Not to mention the architectural and engineering skills (as minor as they may seem), he develops as he goes along. One of the things our son took an interest on when he started reading Science books were power plants, parker indutrial rubber hose and engineering this and that. It did not take long when he and his father started talking gibberish to me, with all those engineering jargons he started to get into. 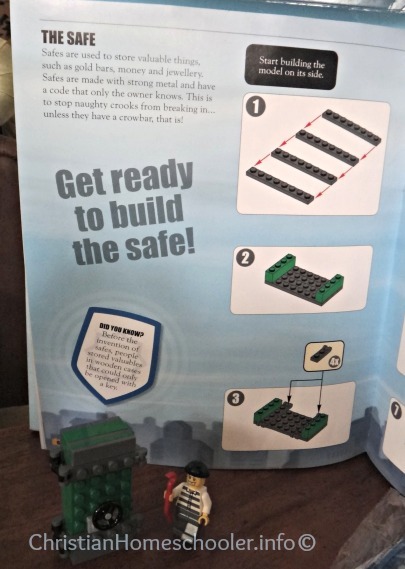 One thing we have to make sure Lego lover kids remember to do – pack away properly. Just so they don’t lose those tiny pieces which they can use later even with the Lego sets they will own in the future.